Ever since Rangers FC's liquidation back at the end of the 2011/12 season, Scottish football has seen Celtic FC run riot all over oppositions having won 7 of the past Scottish Premiership Championships unanswered. Aberdeen led by now gone Ireland striker Adam Rooney and manager Derek McInnes always challenged Celtic early on in every season but never had the depth, capacity nor talent to mount a sustainable title challenge. Rangers, however, are back with a point to prove. The 2016/17 season saw them get promoted to Scottish first division but saw them fall 36 points behind league leaders Celtic FC, led by former Liverpool manager Brendan Rodgers. In the 2017/18 Rangers F.C appointed former Santos Laguna manager Pedro Caxinha and backed him up heavily in the transfer market in an effort to mount a title challenge against Brendan Rodgers' record-breaking club. This, however, ended up being a total disappointment; with Pedro Caxinha being relieved of his duties by October 26. Fast forward to today with Steven Gerrard in the dugout and Ibrox Stadium is singing and shouting louder than they ever have in years. Having been heavily funded, this summer saw Rangers FC bring in a total of 15 players towards Ibrox Stadium. They are back in European football still in contention of qualifying for the knockout stages, with everything to play for in their visit to Austria against Rapid Wein, and are one point behind league leaders Kilmarnock with a game in hand. A lot of positions, however, look like they need improvement with the striking position in most dire. Kyle Lafferty has looked shaky in his return to Ibrox and has not helped take the workload off Alfredo Morelos. 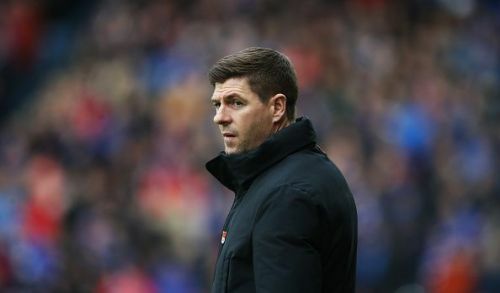 Here I look at 4 strikers Steven Gerrard and the Rangers administration should take a look at. Things have not gone according to plan for the former 6'2 Chelsea striker Dominic Solanke since his move to Anfield. Since his move away from Stamford Bridge, he has encountered the same problem he faced at Chelsea a lack of playing time. In Liverpool, Solanke finds himself well beneath the pecking order with Roberto Firmino, Daniel Sturridge and Divock Origi all ahead of him. Out on the wings, Sadio Mane and Mohamed Salah have made the positions their own. The lack of playing time, however, does not come down to a lack of skill set, with the past U-20 2017 World Cup demonstrating Dominic Solanke's skill set and eye for goal with 3 goals scored in the competition. The past season saw him score his first Premier League goal against Brighton and Hove Albion and assist on a further occasion. After a breakout season in 2015-16 with Vitesse in the Eredivisie in the Netherlands, which saw him score 7 goals and assist 1 in 25 league games, it has been painful seasons ever since for the young English striker. A move towards Ibrox Stadium would give Dominic Solanke the playing time he deserves and so desperately craves. If Rangers were to go further down the Europa League competition and hope to mount a formidable title challenge they are going to need other outlets for goal other than the prolific Colombian striker Alfredo Morelos and misfiring Kyle Lafferty. 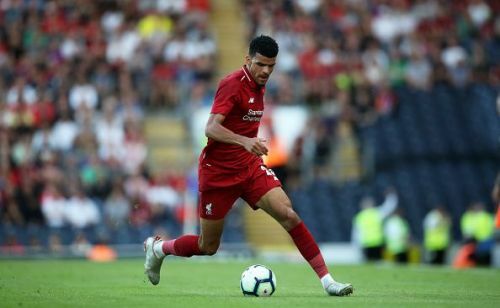 Given Steven Gerrard's Liverpool connections which has already seen Ovie Ejaria and Ryan Kent come in as loan deals, it'd be no surprise to see Solanke in the famous Rangers jersey in the near future. Will Rangers Player of the Year Alfredo Morelos' poor disciplinary record stop him from earning a place in Colombia's Copa America squad?